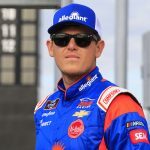 Spencer Gallagher, who won Saturday's NASCAR Xfinity Series race at Talladega Superspeedway, has been suspended indefinitely from NASCAR for violating the sanctioning body's substance abuse policy. 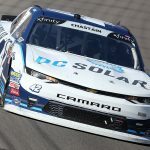 Chip Ganassi Racing announced Friday that the team has shut down its NASCAR Xfinity Series program, effective immediately. 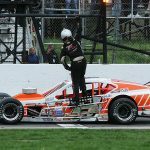 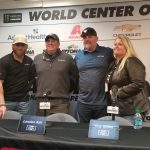 Xtreme Concepts set big goals recently when they announced an expansion of their partnership with Joe Gibbs Racing, but Thursday afternoon at Daytona Int’l Speedway they announced an even larger goal. 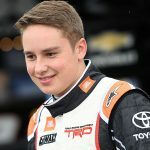 Christopher Bell will join Joe Gibbs Racing to compete full-time in the NASCAR XFINITY Series in 2018. 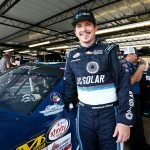 Former NASCAR Xfinity Series competitor Brennan Poole is suing his former team, Chip Ganassi Racing and Spire Sports and Entertainment. 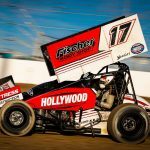 With his current career progression, it seems likely that Christopher Bell will advance to the Monster Energy NASCAR Cup Series and link up with Joe Gibbs Racing at some point in the near future. 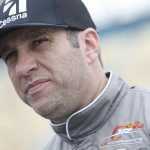 Elliott Sadler announced Wednesday morning that he will conclude his full-time career in NASCAR racing at the end of the season. 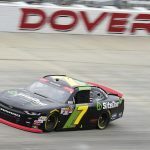 Justin Allgaier reveled in his first NASCAR Xfinity Series win of the season over the weekend at Dover Int’l Speedway, but many of the benefits from that win were stripped on Tuesday as part of a sweeping round of NASCAR-issued penalties. 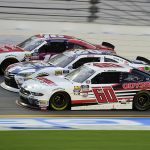 For the first time in more than a quarter of a century, Roush Fenway Racing will not field a car in the NASCAR Xfinity Series.